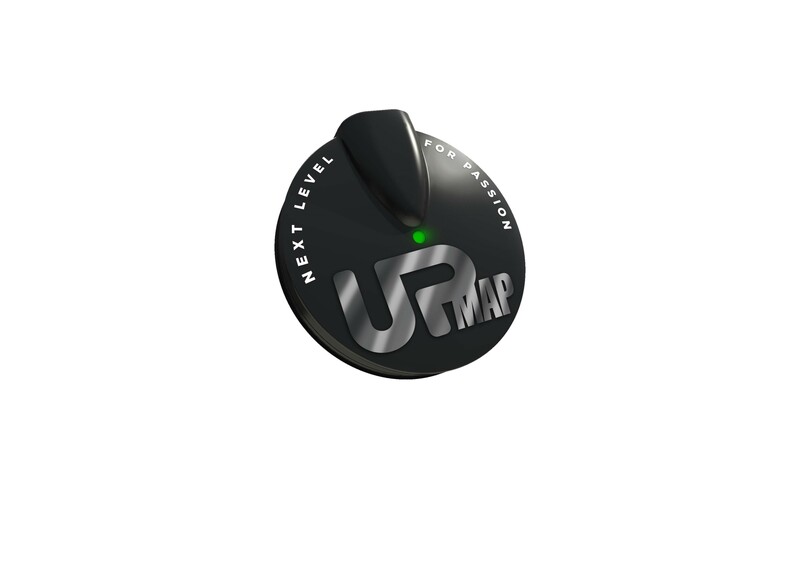 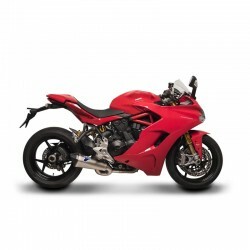 3 592,37 € tax incl. 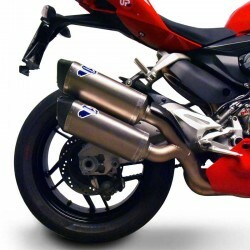 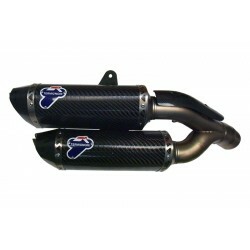 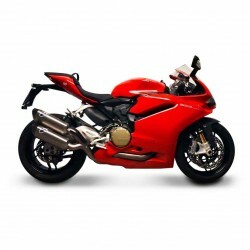 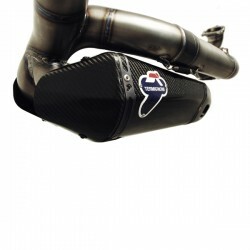 Complete exhaust system Termignoni WSBK "Force" Ducati Panigale 1199/1299 with high position silencers. 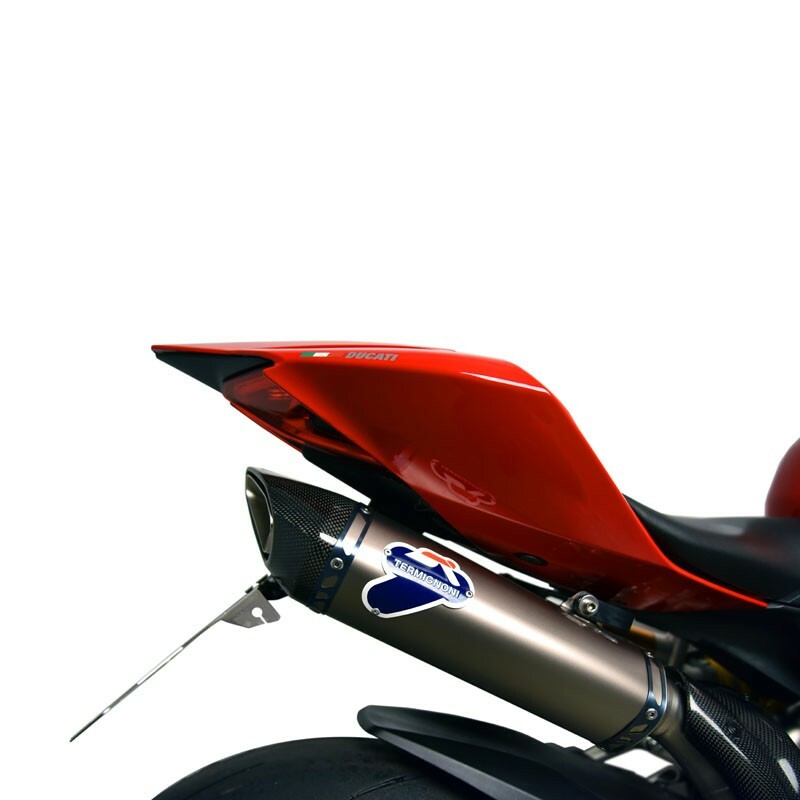 After several months of R & D in collaboration with many Ducati teams involved in the National and world SBK championships, Termignoni decided to offer to the market this “best of” aesthetic, technology and performance for the owners of the Panigale 1199 and 1299. 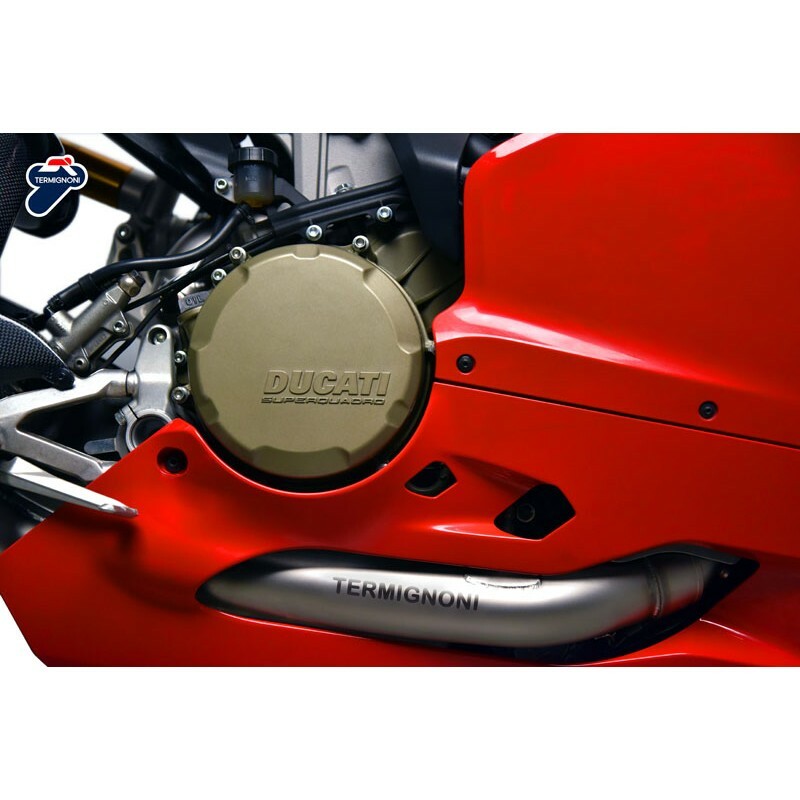 On the material side, in order to combine reliability and weight gain, Termignoni chose to combine stainless for the collector tube set and a special alloy of titanium and Inconel (CuNb) for the silencers. 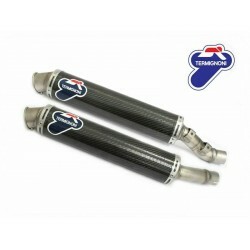 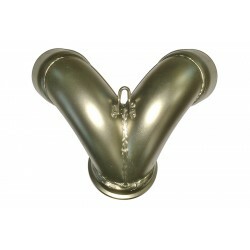 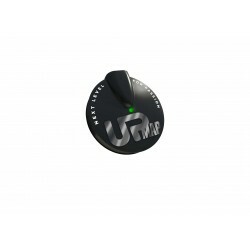 Indeed, this CuNb alloy has unique characteristics especially during cold forming operations and is resistant to oxidation at temperatures over 800 ° C. the silencer outer sleeves are specially treated with antiseizing protection, and of course the silencer end caps are made of carbon fiber. 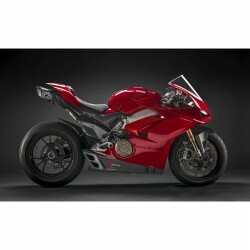 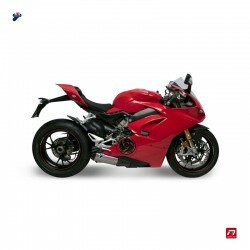 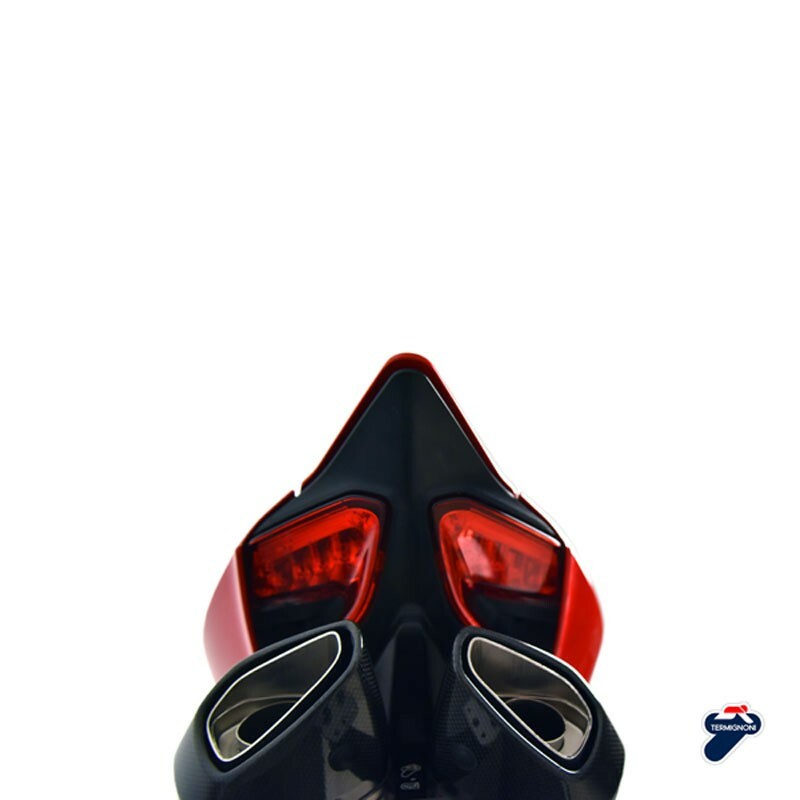 On the aesthetic side, it is the "Force" design that was chosen for the shape of the two silencers, this design that was first seen on the official MV Agusta WSBK. 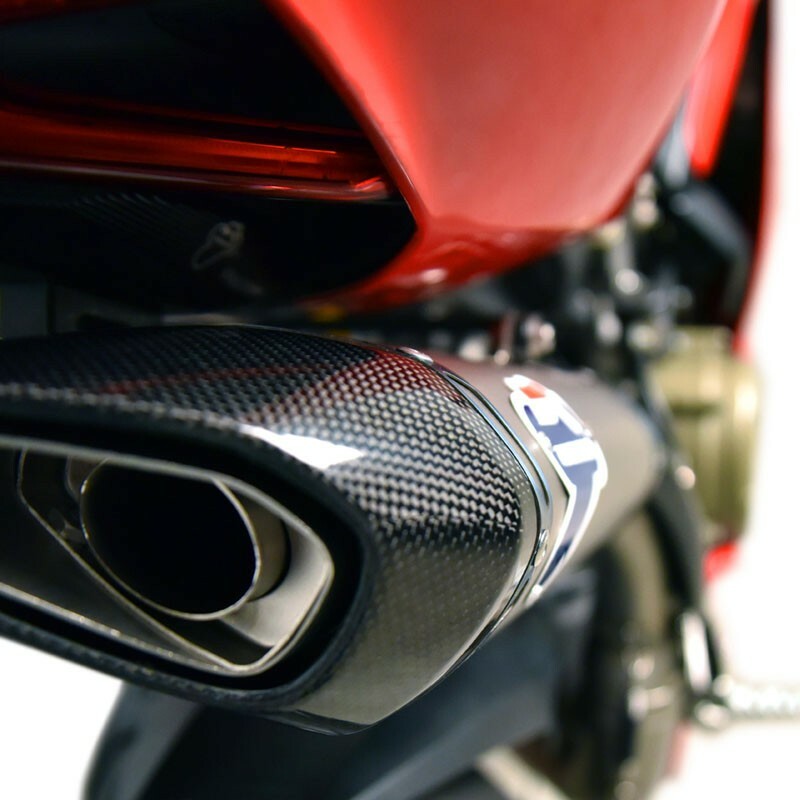 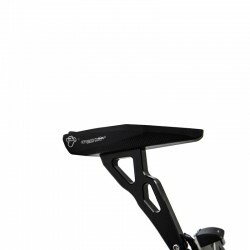 Finally, these complete systems are produced exclusively by the competition department of Termignoni, the famous "Reparto Corse" where they receive the attention of the best craftsmen of the production site of Predosa in Italy. 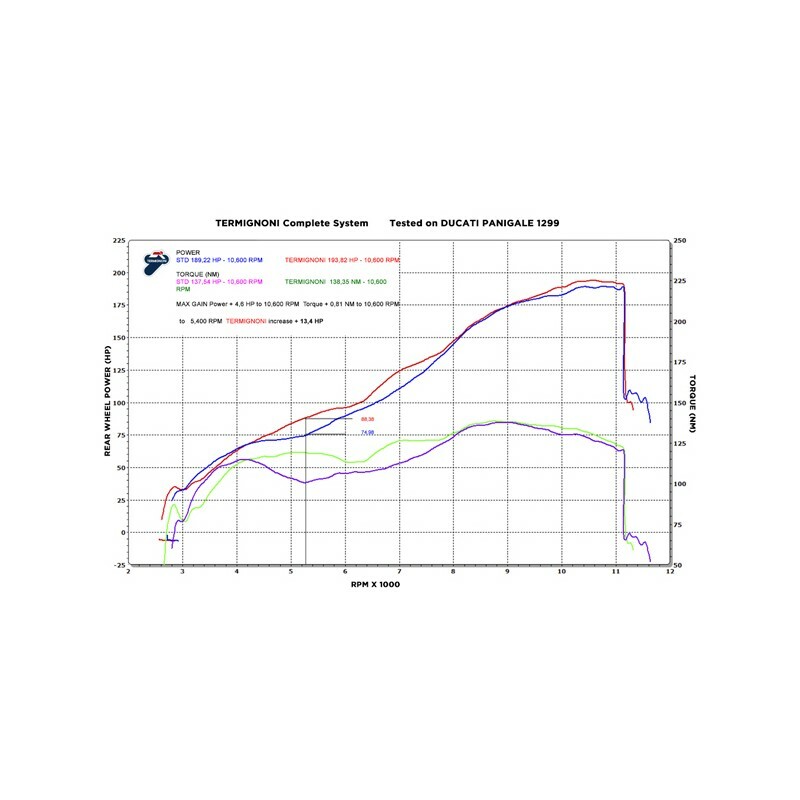 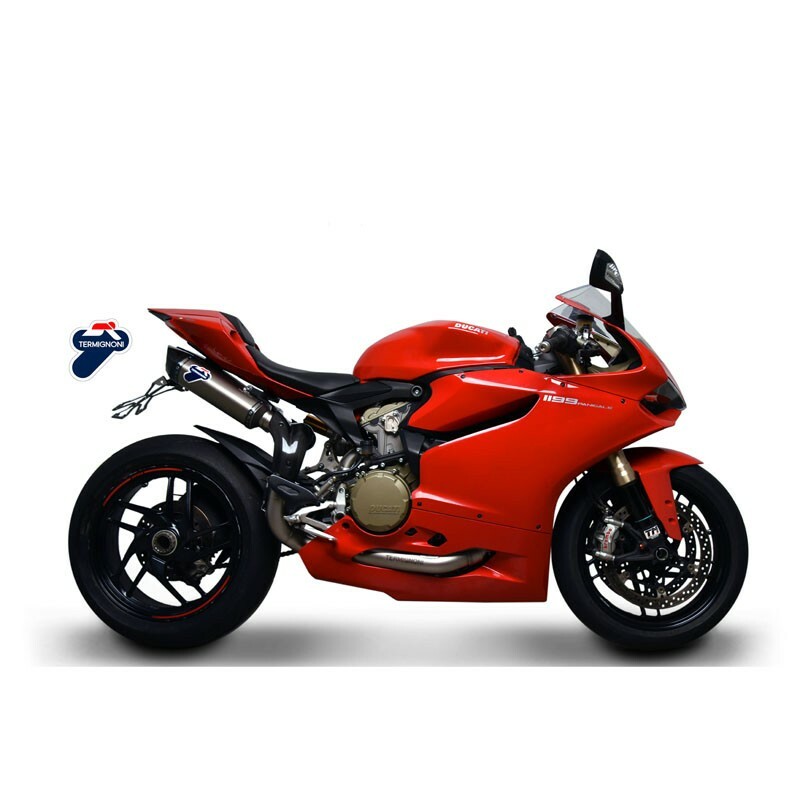 On the performance side, those who find that their Ducati Panigale is a little behind the Hyper sports from the competitors will not be disappointed: this line transforms the Panigale radically, power improvement is +13.4 hp at 5.400 rpm (+4.6 hp and +0.81 Nm at 10,000 rpm). 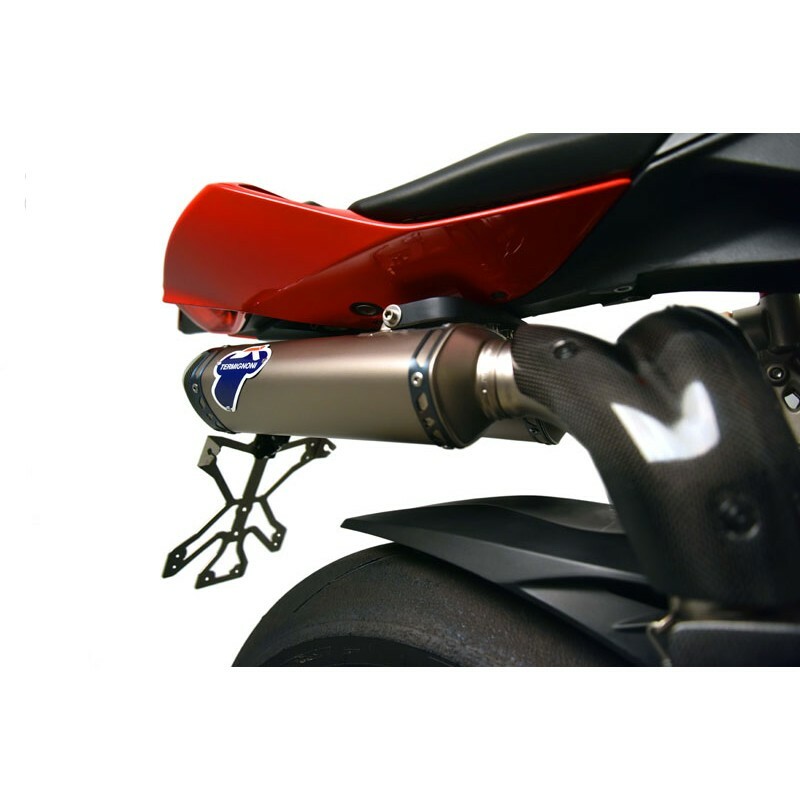 The weight of the Termignoni complete system is 7.9 kg with its fittings against 11.3 kg for the original exhaust system, it is almost 3.4 kg gained on the scale! 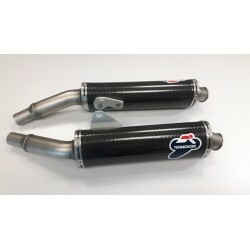 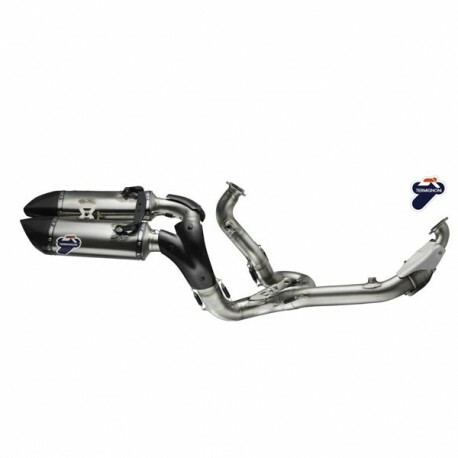 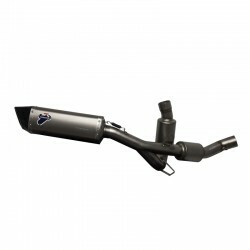 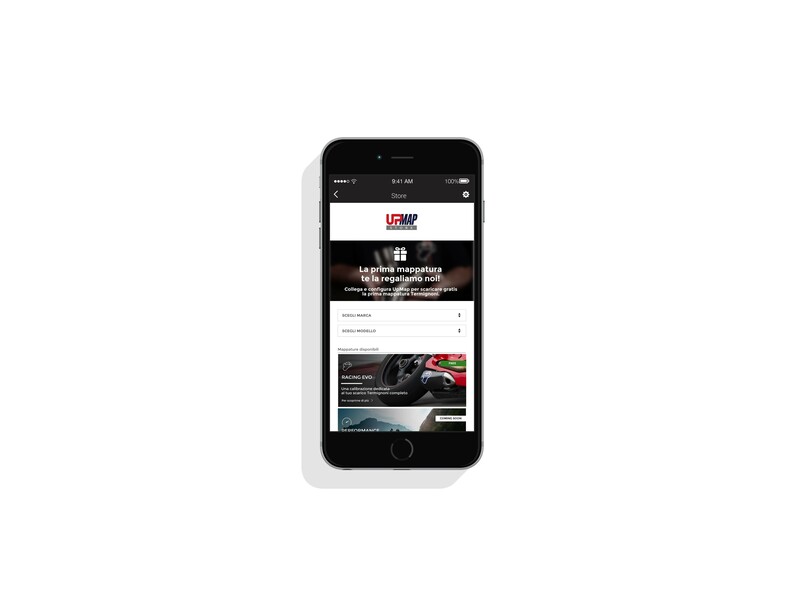 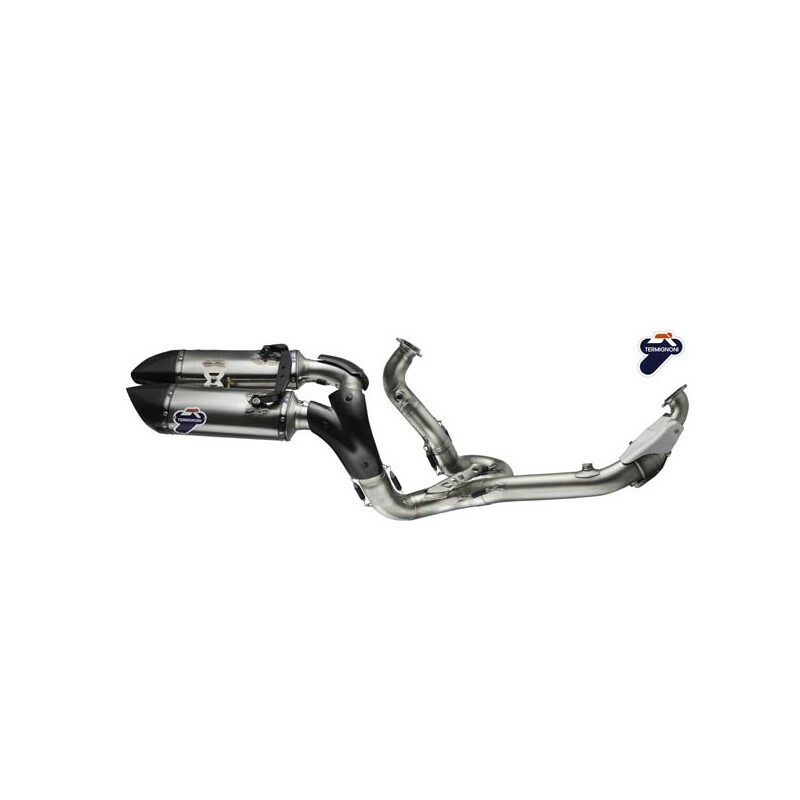 This exhaust system is delivered as a complete kit ready to be installed; it comes complete in a box with its carbon fiber heat shield with the fitting kit and the assembly instructions. 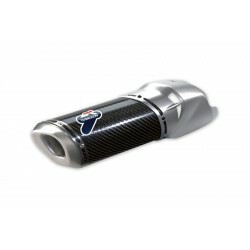 The silencers are equipped with removable db-killers.